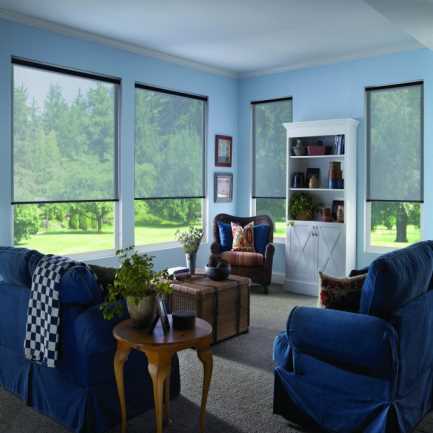 Choose YES if you are planning to mount your roller shade to the ceiling or the top of the inside of the window frame. 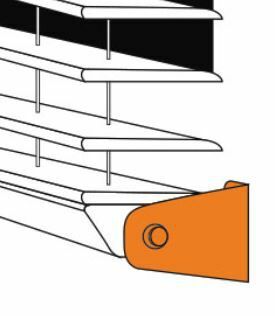 Hembars are weighted bars at the bottom of the shade.  They can be external to the fabric or woven into it. 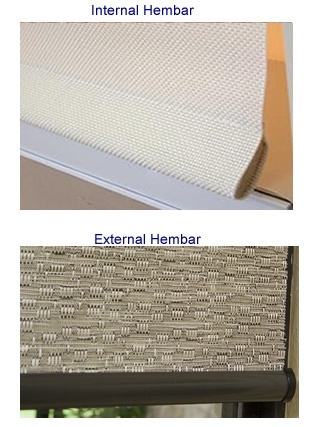 Internal Hembar - Hembar is wrapped with shade fabric for uniform appearance. 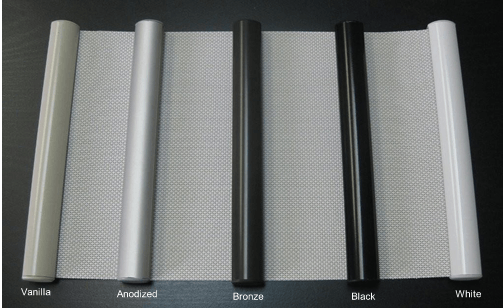 External Hembar - Extruded aluminum hembar is exposed and available in black, bronze, aluminum, white, or vanilla finish. 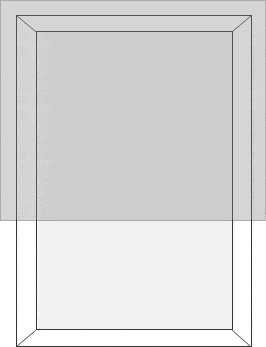 External Hembar Colour is not available with Internal Hembar. 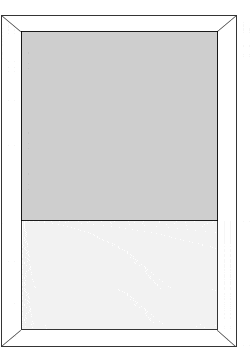 Location of the Chain that is pulled to raise and lower the blind. Please note that valances are not included with these shades. You may order them as an option below. 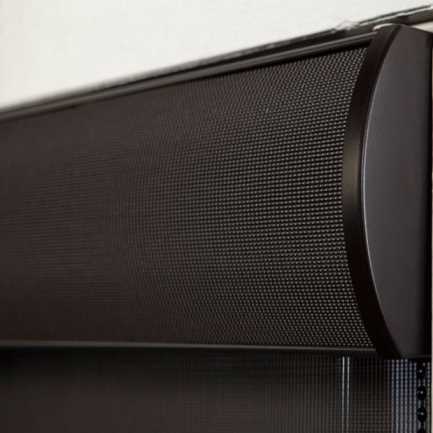 Our SheerWeave Solar Shade is made with an open weave that lets in 14% of natural light for a beautiful glow, while filtering out the sun's heat and giving you an unobstructed view to the outside. 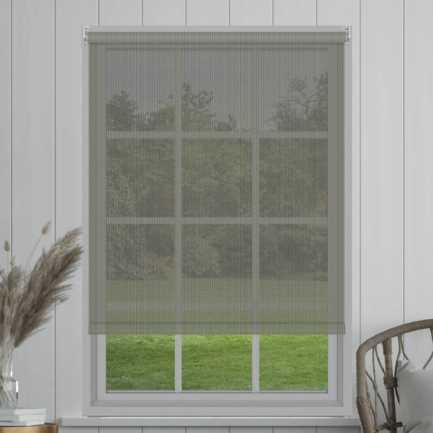 We have updated the classic simplicity of these quality shades with fashion fabrics, streamlined upgraded roller mechanisms, and custom accents. 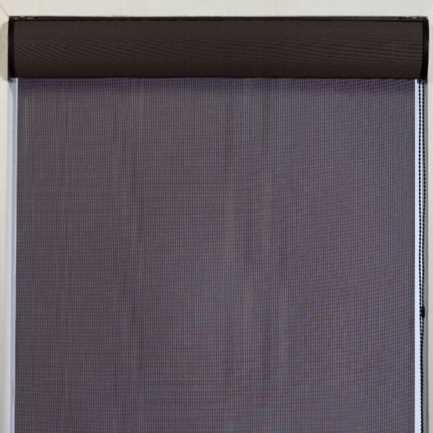 These solar shades block out 86% of harmful UV rays, protecting your furniture from sun damage and fading. Choose from 9 designer colours. Minimum Width for Spring Roller is 19"
Fabric will be rotated and will have a seam when shade is wider than 96" and longer than 82"
Distance from edge of window to fabric on inside/outside mount and chain lift: 7/8" on chain side, 3/8" on opposite side for a total of 1 1/4". Chain Lift Roller diameter: Up to 85 1/8" width = 1 1/4", 84 1/8" to 121 1/8" = 1 1/2", over 121 1/4" = 1 3/4"
Minimum flush mounting space with 3" fascia is 3"
Minimum flush mounting space with 4" fascia is 4"
Minimum flush mounting space with Cassette is 4"
They installed easily, work great! We can see out, but there is improved privacy looking in, also makes a huge difference in the amount of heat/UV rays beating into the room. Also can sit in the sunroom when before it was quite often too hot, and you can see your screen on computers, etc. Love them!